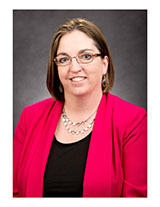 Dr. Maureen Outlaw is Associate Professor and has been a member of the Sociology Department since 2003. She is also a member of the Women’s Studies program. Her work examines the situational context of gendered and hate-based violence and how stratifying factors and motive impact contextual factors. She is the author of a digital textbook, Revealing Criminology, and several articles. She is currently working on two projects examining the unseen forces affecting marginalized populations in the realm of social interaction and discourse. Dr. Outlaw teaches courses in criminology, women and crime, violence, and the death penalty. Outlaw, M. (2015) Guardians against Spousal Violence? : A case for considering motive. Journal of Family Violence. (30), 1-12. Felson, R. Outlaw, M. (2007) The Control Motive and Marital Violence. Violence and Victims. (22), 3-24.